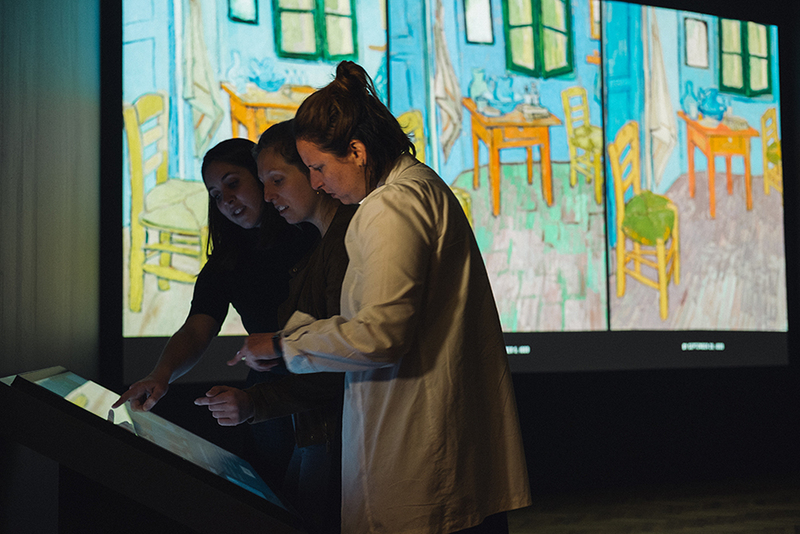 Van Gogh’s life was short and nomadic. During his 37 years, he lived in 37 separate residences across 24 cities, mostly as a boarder or a guest dependent on the hospitality of family or friends. 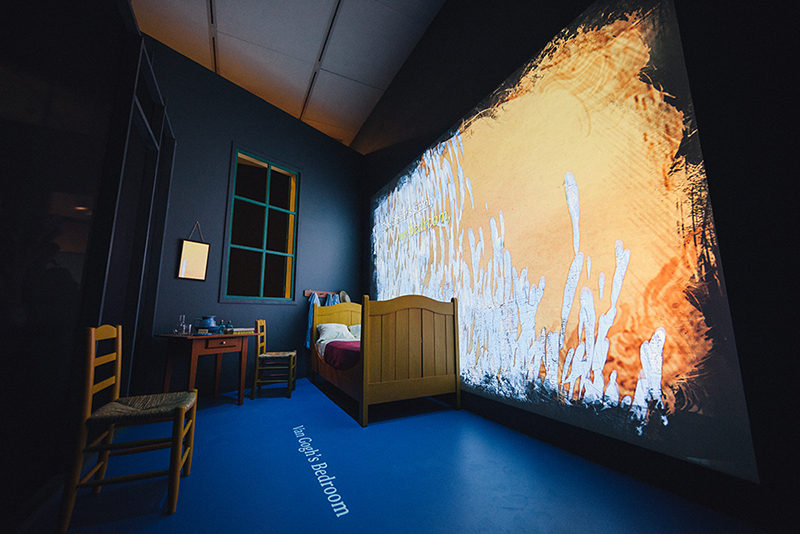 In 1888, he finally moved into the only home he considered his own: his beloved “Yellow House” in Arles. 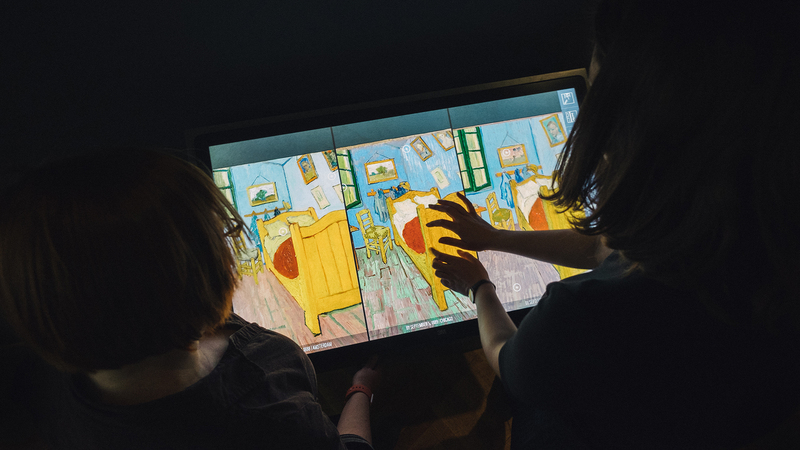 Of his many bedrooms, Van Gogh immortalized only this one—three times in fact. 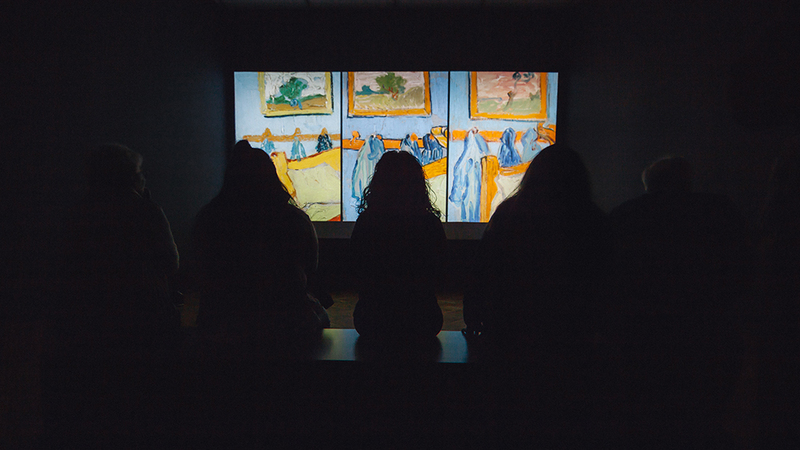 He first painted the room in 1888 shortly after his move to Arles and then painted the composition twice more in 1889: once to record the first version that had been damaged when his home flooded and then again as a gift for his mother and sister. 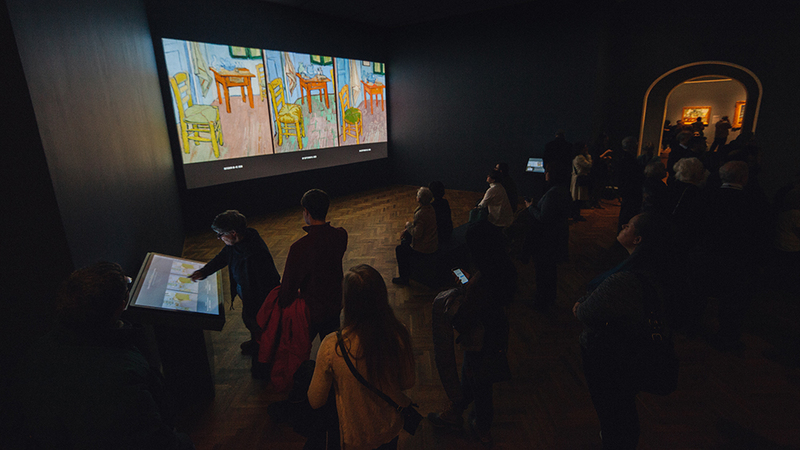 This exhibition is the first to truly delve into the fascinating history of these three paintings and explore the motif of home and its significance to Van Gogh—as haven, creative chamber, and physical reality. The show features approximately 36 works by the artist, including paintings, drawings, and illustrated letters, as well as a selection of books and other ephemera known to have been in Van Gogh’s possession. 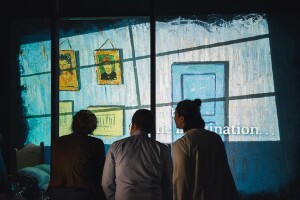 Enhancing the exploration of the artist’s works and his longing for home are several engaging interactive presentations. 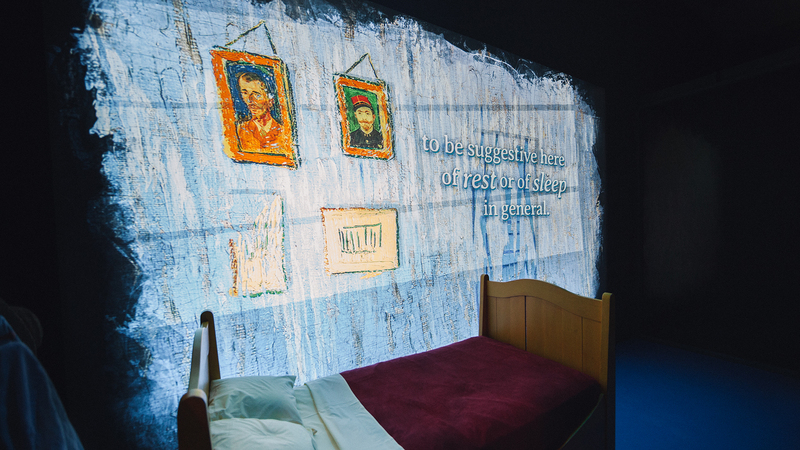 The first of these experiences uses an abstracted life-sized recreation of the bedroom as a canvas for projections of animated sketches and quotes taken from Van Gogh’s personal letters. 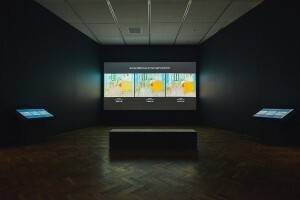 Those insights made it clear that, after years of a nomadic lifestyle with poor living conditions, this small but sunny room represented a sense of stability for the artist. In the exhibit, subtle light and ambient sound supplement the projections and help visitors better understand the personal struggles, and the hope represented by the single room. This emotional experience sets the tone for the visitors’ first encounter with the three paintings. After seeing the originals, visitors are invited to dig deeper as they are introduced to an 18’ x 9’ projection allowing them to revel in the detail of the brushstrokes and further observe the subtle and not-so-subtle differences between the three paintings. Flanking the projection are two interactive screens offering visitors “superpowers” to conduct a synchronized exploration of the paintings in a way that is intuitive yet future-forward. 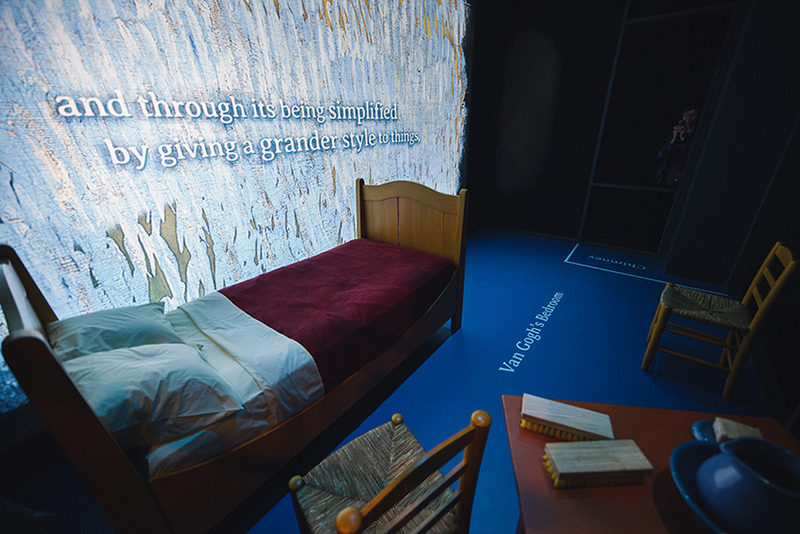 By pinching, zooming and panning, visitors can uncover findings made by the conservation team. 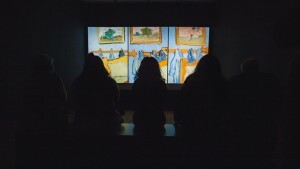 Complementing the projection and kiosks is an eight minute documentary, which dives into the 30 year conservation efforts on the three paintings. 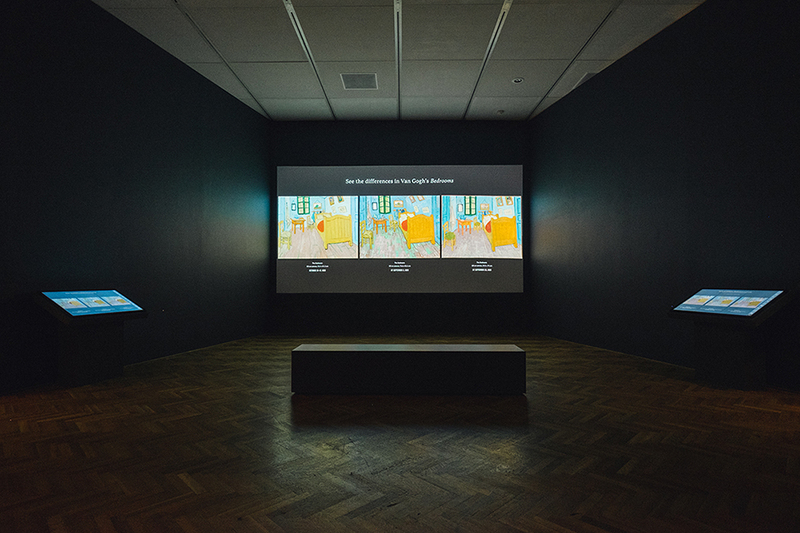 Featuring interviews with conservators and curators, along with interpretive motion graphics, the video addresses long-standing mysteries about the paintings.